The new centre in Mrieħel. 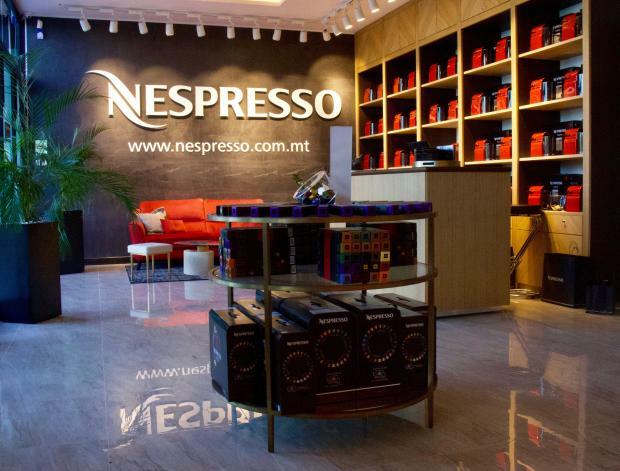 Nespresso has opened a customer care centre in Mrieħel, weeks after opening its store at The Point in Sliema. Situated in Notabile Road, the centre will support the online ordering operations of the portal https://nespresso.com.mt/ launched last December and will house the Nespresso customer care team providing ordering options via freephone and Whatsapp. It will also serve as a service and support centre to customers, as well as a showroom to view and purchase machines. “Due to the increase in customer flow, we have had to expand our operations, hence increasing the number of employees. All this will ensure that even in Malta, Nespresso will offer the ultimate pleasurable coffee experience for all the senses, consistently delivered at the touch of a button,” said Mr Philip Galea, DCAFFE business development representative. Coffee specialists are now available to guide customers across the 25 coffee flavours as well as the various coffee machines, helping them find the perfect match for their preference and lifestyle. Mr Galea also said that Nespresso continuously promotes the protection of the environment and all Nespresso packing is recyclable. Recycling starts even before a coffee tree starts producing coffee beans – as the water used for watering the tree is also recycled. Customers will be able to drop off used capsules at all Nespresso stores, or alternatively have them collected by representatives when new orders are delivered at their homes. The used capsules will be sent abroad to Nespresso recycling plants, where they will be recycled and reused in the production of other materials. Members of the Nespresso club will enjoy exclusive benefits, rewards and coffee-inspired discoveries, all of which are tailored to enhance the customers enjoyment of coffee hence making every cup of coffee an exceptional moment. For further information log on www.nespresso.com.mt. or contact one of Nespresso’s coffee specialists (The Point, Level 0, Tigne Point, Monday-Sunday and Notabile Road, Mriehel) on freephone 8007 4448 or WhatsApp 7988 4448.